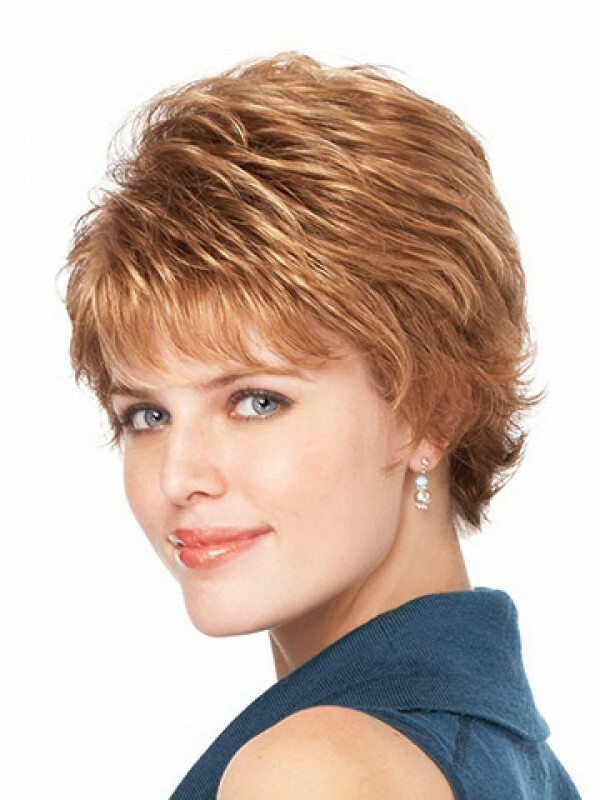 It is a short-length, flip style with soft, closely-cropped curls. This style is easy to maintain and is ready to wear right out of the box. Gaiety is made from 100% Gabor Flexlite fiber for a lightweight, realistic look and feel. This wig is available for all colors in our color chart, a wide range of single tone and multi-tonal shades. * Hair Type: Synthetic * Gender: Women * Product Type: Full Wig * Hair Texture: Wavy * Hair Leng..
* Material: Synthetic * Hair Style: Straight * Hair Length: 10" * Cap Construction: Lace Front ..
* Material: Synthetic * Hair Style: Straight * Hair Length: 24" * Cap Construction: Capless * D..
* Material: Synthetic * Hair Style: Straight * Hair Length: 16" * Cap Construction: Capless * D..
Material: Synthetic Hair Style: Straight Hair Length: short Cap Construction: Capless Hair Density: ..